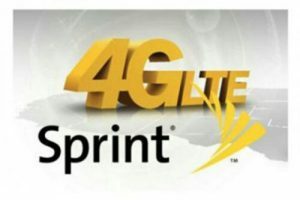 Residents of 70 more cities around the US will be able to kiss 3G goodbye and prepare for super-fast 4G LTE mobile internet connections thanks to Sprint’s huge new rollout. The telecommunications company announced on Monday that its 4G LTE network would now reach a total of 300 cities across the country. The roster for Sprint’s new range of fast mobile networks includes big cities such as San Diego, California, Green Bay, Wisconsin, and Orlando, Florida. Sprint users with 4G LTE-enabled smartphones will be able to start enjoying faster mobile internet straight away. To try and increase indoor coverage for voice calls and internet connections, Sprint has also redeployed its 800MHz spectrum. Thanks to another initiative called ‘Sprint Spark’, maximum 4G speeds have been boosted to around 50 or 60 Mbps, with hopes for a 1GB mobile network soon to follow. Spark’s super-fast mobile internet is expected to roll out to 100 cities in the next 3 years, but currently, it is only available in 5 cities; New York, Tampa, Miami, Chicago and Los Angles.